With close to 200 memberships, we are experts on what mobile workers need in a workspace. Enjoy a convenient place to get work done and meet clients without the overhead of a dedicated office. Our part-time officing solutions offer a professional business address, live call answering, and access to our meeting rooms and day offices through a web based booking portal. Learn more about plans, pricing, and features. We offer seven designated day offices and meeting spaces ranging in size. Each meeting room is named using architectural themes such as our Loft Boardroom or the Atrium Meeting Room. Spaces are fully-equipped with flat screen displays, electronic whiteboard technology that transforms written data into an online collaboration tool, conference phones, AppleTV, and all the adapters and gadgets you need for a smooth working experience. Our San Mateo location is not set up for traditional open coworking, but we do provide several other shared workspace solutions. Click the ‘Options’ button below to tell us more about your workspace needs and we can help match you to a plan. If you’re only interested in traditional coworking space, check out the open coworking locations throughout our portfolio. Our sister company CloudVO offers CloudTouchdown passes that give you easy access to multiple day offices and meeting rooms in the geographical area of your choice. Ask about our CloudTouchdown™ Program with access to on-demand workspace in 650 locations worldwide. Recruiters, software developers, attorneys, and financial advisors are some of the awesome business-folk that make-up our members, also known as ‘Pacmates’. Watching a game and cheering on our local sports teams in our comfy business lounge usually sparks interaction and socialization – we love our Bay Area sports! Many of our Pacmates live within the community. The Pacmates you meet here are the same people you bump into at the grocery store or at a restaurant in the downtown area, so making professional and personal connections comes naturally. Be sure to see how our virtual office plans and meeting room prices compare to Regus San Mateo. 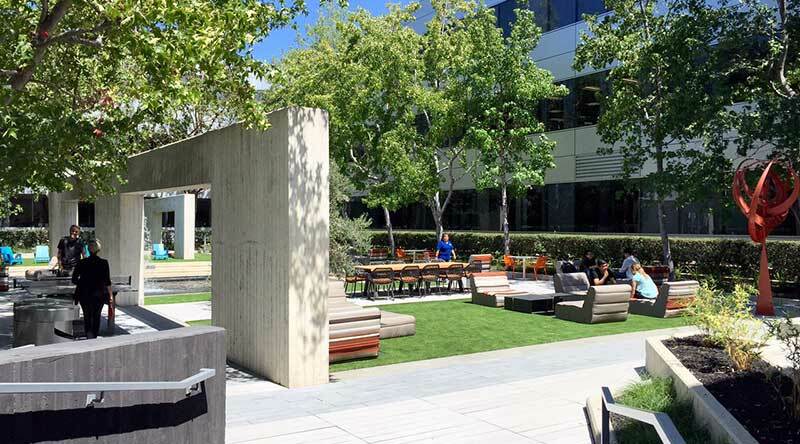 Also check out our Palo Alto Office location 15 minutes away.